Music > Counter Culture > Science Fiction> Poetry > Local History > Politics > Modern Signed First Editions > also Contemporary Art with an emphasis on Urban. 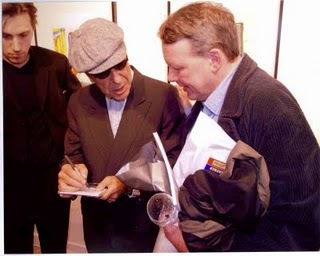 Here's Nick with Sincerely L. Cohen. 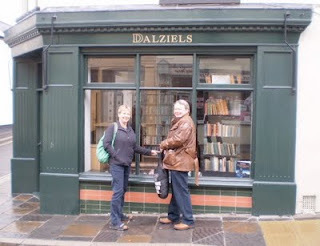 Meanwhile we can now confirm that Simon from the legendary Big Green Bookshop in Wood Green, London, will not only be selling (new) books at our forthcoming conference on THE AMPLIFIED AUTHOR IN THE LOCAL UNLIBRARY, but will also be appearing on the panel with Shreela Ghosh, George Palmer and others. To book your FREE place for the 23rd November, HURRY to www.unlibrary.eventbrite.com. Homepages - here's our collaborative poem so far.